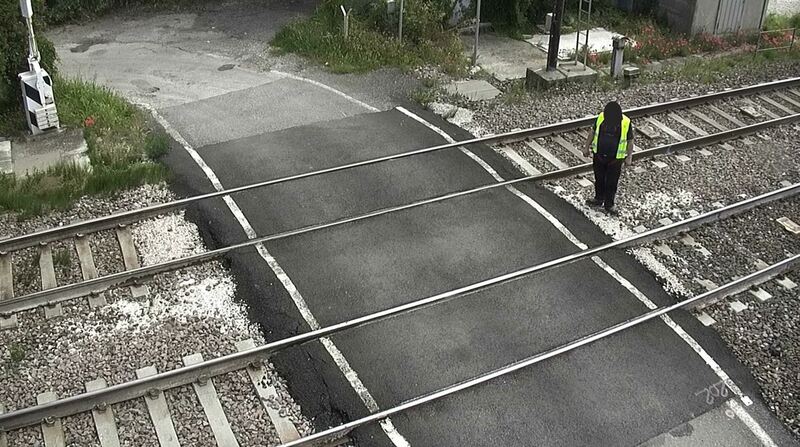 At installation time, the system scans the level crossing area when it is empty and stores the 3D scans of the empty level crossing area as a reference for detecting obstacles. 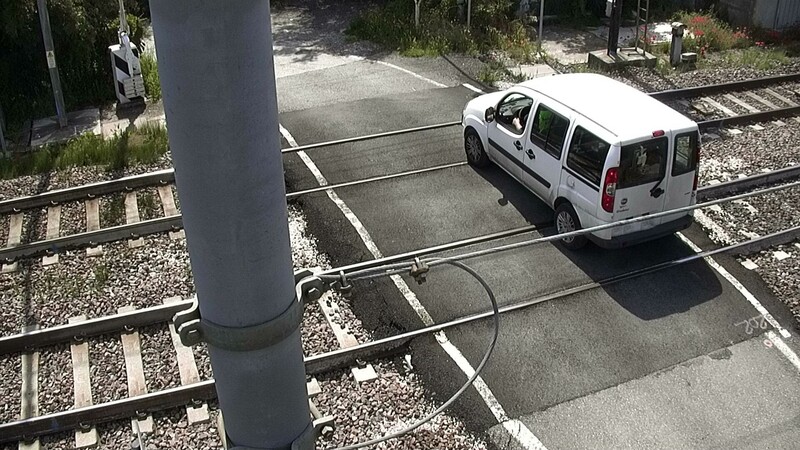 The level crossing obstacle detection system detects all objects in the controlled area of a level crossing, in order to prevent a train colliding with an object such as a vehicle or people on the crossing. 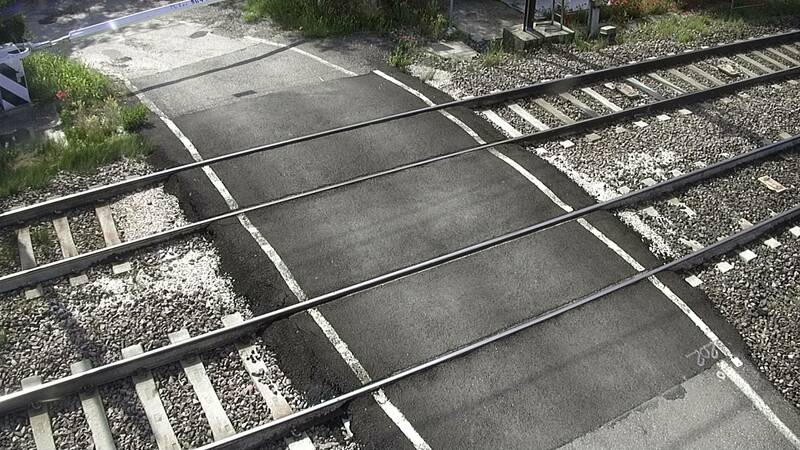 The level crossing obstacle detection system scans the complete area of the level crossing and detects the volume of any kind of object in the controlled area. 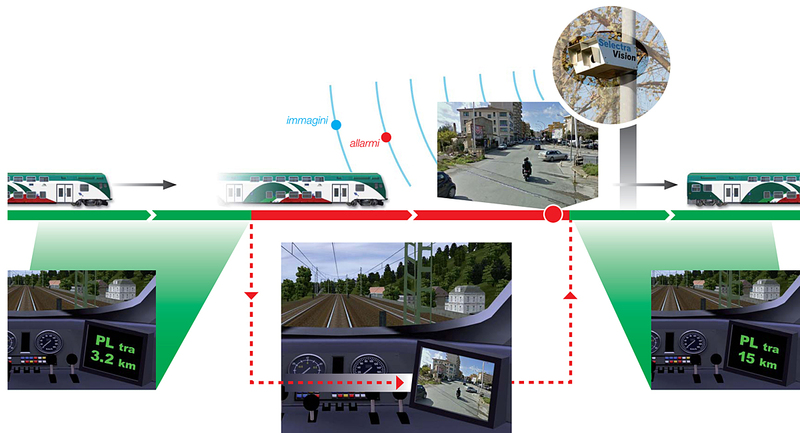 When an object is detected inside the controlled area and its volume is significant, the system sends alarms to prevent accidents from occurring at level crossings. 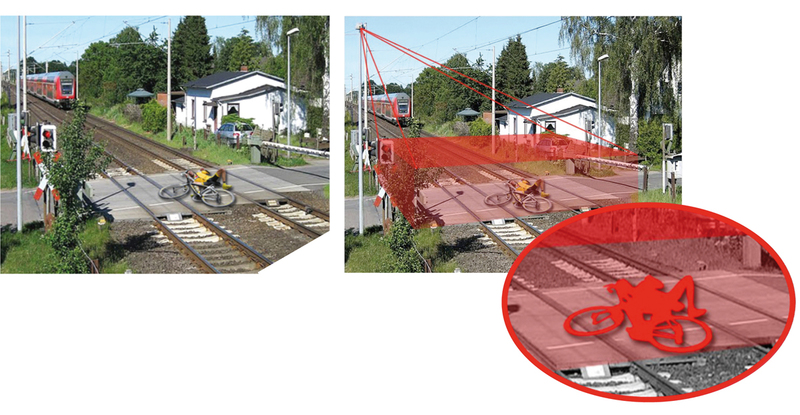 When the level crossing obstacle detection system detects an obstacle, such as a car or a human presence inside a crossing, it notifies a train crew of the presence of an obstacle when a train approaches that crossing.